In the first year, the National Piano Manufacturers Association recommends that you have your piano tuned four times. They, and nearly all piano manufacturers, recommend that your piano should be tuned at least twice a year thereafter. Call Paul at 516 326-6944 or e-mail him at paul@paulspianos.com to make an appointment. In addition to tuning, Paul can take care of all other aspects of regular piano maintenance such as voicing and regulation. When special situations arise, his expert troubleshooting can solve even the most elusive problems. 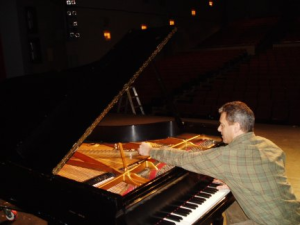 As a long time Registered Piano Technician with the Piano Technicians Guild, Paul suggests visiting the Piano Technicians Guild special web page with information for piano owners. 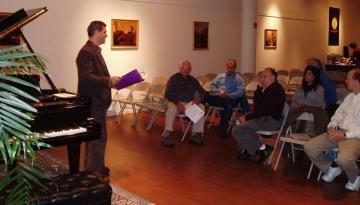 Here Paul gives a presentation at the Steinway showroom on Long Island before the Long Island-Nassau Chapter of the Piano Technicians Guild.